WHAT? 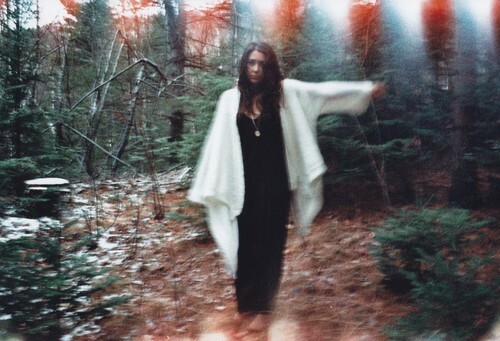 Two Vanessa Carlton posts in one day? CRAZY! 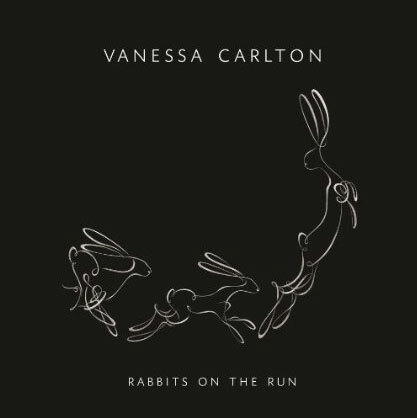 Thanks to an anonymous commenter on my blog, I learned that the album artwork for Vanessa Carlton's 4th album, Rabbits On The Run, has also been released. The album is due June 21st on Razor & Tie. As I mentioned in my previous post, first single "Carousel" is due out on May 3rd. Check out this NEW CLIP of the song on Amazon France. 19 year old American pop/R&B singer Alexis Jordan will release her third UK single, "Hush Hush" on May 8th. The up-tempo track was produced by StarGate and Sandy Vee and co-written by StarGate, Sandy Wilhelm and Autumn Rowe. Following in the dance club appeal of previous singles "Happiness" and "Good Girl" - releasing "Hush Hush" as single #3 was a given, especially given that nearly all of the remaining tracks on Jordan's self-titled debut album are mid-tempo songs or ballads. Jordan has been promoting her album in Europe recently, where it's been doing well. The album, which came out at the end of February, was a top 10 hit in the UK and peaked at #11 in Australia. First single "Happiness" went #1 in the Netherlands and in Norway and was a top 3 hit in both the UK and Australia. "Good Girl," while not as successful as "Happiness" still managed to hold it's own on the European charts, peaking at #6 on the UK Singles Chart and #15 in Ireland. While Jordan has yet to hone in on the American market yet, she's already topped the Billboard Hot Dance Club Play charts twice, with second single "Good Girl" topping the chart this week. On April 22nd, Jordan Tweeted: "'Good Girl' is #1 on US billboard dance chart! and it hasn't officially been released." Not bad considering there's been virtually no promo at all here in the States. Like both of Jordan's previous two singles, "Hush Hush" has lined up quite the remix package for the UK club scene. Past remix packages have included mixes by Michael Woods, Dave Audé, Freemasons, Kim Fai, among others. This time around we have Tom Neville and Cahill on the remix. Sounds like Jordan has her eyes set on another #1 dance hit! You can listen to a short clip of the new single, "Hush Hush," above. American fans can download the "Happiness" remixes on iTunes HERE. 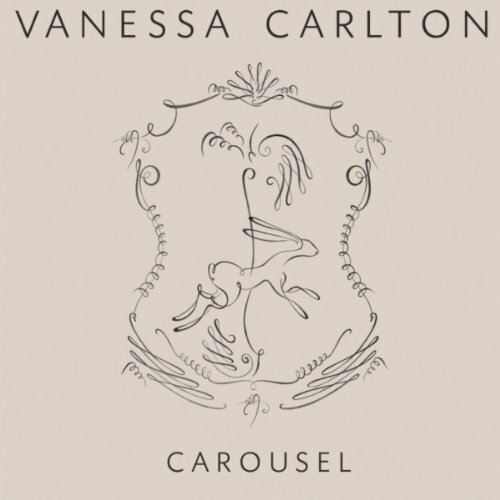 Fans of American singer/songwriter Vanessa Carlton have something else to be excited about, as Amazon.com has posted a short snippet of her new single, "Carousel" in advance of it's May 3rd release date. "Carousel" will serve as the first single lifted off of Carlton's upcoming fourth studio album, Rabbits On The Run, due out June 21st on Razor & Tie (distributed by Sony Music). Per my last post, Rabbits On The Run was produced by Steve Osborne and recorded in the UK at Peter Gabriel's Real World Studios. Go check out "Carousel" on Amazon.com right now and scope out the new single artwork above. "Carousel" is out digitally on May 3rd. Watch this space for more news on the album and single. 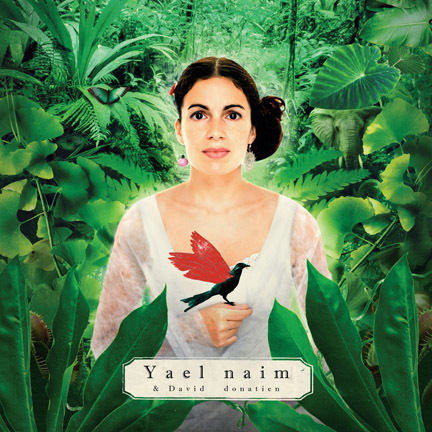 French/Israeli pop-folk singer/songwriter Yael Naim is getting ready to release her third album, She Was A Boy on TÔT OU TARD May 10th. She Was A Boy is the follow up to Naim's eponymous 2007 sophomore album, featuring the top ten hit "New Soul" which debuted at #9 before moving up to #7 on the Billboard Hot 100, thanks mostly to it's feature in a MacBook Air commercial. In turn, Naim became the first Israeli solo artist to have a top ten hit on the Billboard Hot 100. Her album managed to peak at #50 on the Billboard 200. Collaborating on the new album with percussionist David Donatien, the two recorded the album at a relaxed and leisurely pace in a Parisian flat-turned-studio. Featuring additional collaborations with French jazz trumpeters Lionel and Stephane Belmondo, cellist Yoed Nir (Interpol, Regina Spektor, Rufus Wainwright), classical musician Thomas Bloch (Radiohead, John Cage, Damon Albarn/Gorillaz) and French artist Tété. The first single taken from She's A Boy was "Go To The River," the music video for which was released onto YouTube in November of last year. Follow up single, "Come Home" premiered on YouTube at the end of March. 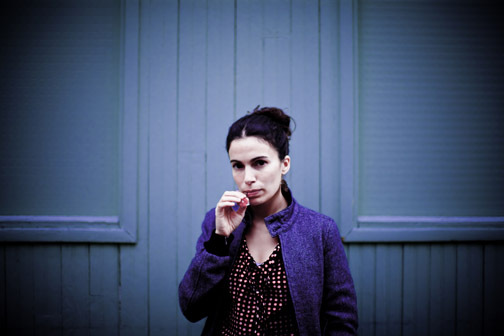 Both songs follow "New Soul" in terms of style and sound, showcasing Naim's breathy, folk-pop voice. While a singer like Naim is pleasant enough to listen to, there's only so much she can do vocally with her limited range. She makes up for that with her songwriting and sing-song vocal delivery. I would love the opportunity to see her live. I imagine that Naim's performance would be very engaging when set in a more intimate venue. Speaking of live gigs, Naim will be supporting the release of her new album with two performances, one on May 9th at Le Poisson Rouge in New York City, followed by a show at The Hotel Café in Los Angeles on May 16th. Download "Coming Home" on iTunes HERE and watch the video below. She Was A Boy is out May 10th. Oh Land (AKA Nanna Øland Fabricius) is a Danish-born, Brooklyn-based singer/songwriter/producer that I've been obsessing with ever since I heard her debut single, "Sun Of A Gun." While the single seemingly came out half an eternity ago I haven't got to posting about it until now. If you haven't heard of Oh Land by now, then I guess it's new for you! Classically trained in ballet, a slipped disc and spinal fracture forced her to stop dancing. Since then, she's been focused exclusively on music. In 2008 Oh Land released an album in Denmark called Fauna, releasing it on Danish indie label Fake Diamond Records. Oh Land's eponymous sophomore album was released on March 15th in the States via Epic Records. Oh Land collaborated with producers Dan Carey (Sia, Kylie, Lily Allen), Dave McCracken (Ian Brown, dEUS) and Pharrell Williams (Britney Spears, Shakira, Beyonce) to create a stunning album filled with electro beats layered over folk style vocals. The album went on to peak at #184 on the Billboard 200 chart. Preceding the album's Spring release, Oh Land had released a self-titled EP back in October featuring 4 tracks from the album, including first single, "Sun Of A Gun." Talking about the meaning behind "Sun Of A Gun," here's what Oh Land had to tell MTV. Oh Land made her U.S. television debut March 2nd, appearing on the Late Show with David Letterman and performing "Sun Of A Gun." Her live performance was really cute. Not only did she sing and dance but she also played the drums. The performance featured some white balloons with moving faces that sung along to the backing track. Kind of eerie but visually really cool. Check out this live performance on VEVO for an idea of what I'm talking about. On April 7th Oh Land was awarded the 'Brink of Fame: Music Artist' award at the 2011 NewNowNext Awards and toured the U.S. as the supporting act for Orchestral Manoeuvres in the Dark. Oh Land can next be seen playing a string of dates all across Europe, including one at the prestigious Glastonbury Festival. Check below for tour dates and cities. While still no word on Irish singer/songwriter Róisín Murphy's third solo album, she's been keeping fans happy with featured collaborations in a number of dance tracks. 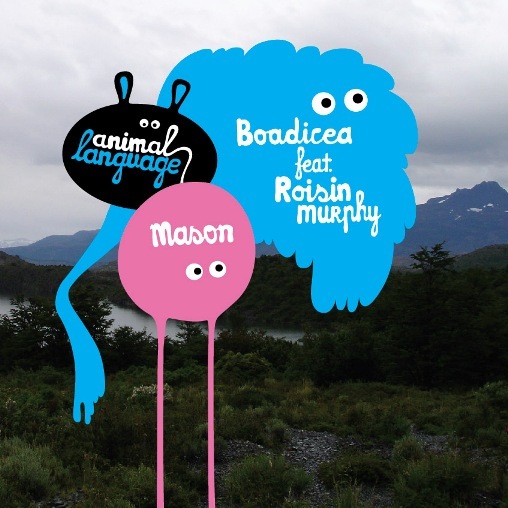 Amongst her the collaborators we have Crookers, David Byrne & Fatboy Slim, and most recently Dutch DJ Mason, who's latest single, "Boadicea" was released at the end of March. Check out the cinematically stunning video for the single, directed by Ron Scalpello (The Prodigy) and featuring heart wrenching, raw performances from actors Jennie Jacques and Jason Maza. Absolutely riveting. While Murphy doesn't appear as one of the character's in the video, see if you can spot a still image of the singer in the couple's apartment. It shows up out of focus a couple of times but there's one good close up of the poster. "Boadicea" is on iTunes now and features remixes by Tony Senghore, Human Life, Evil Nine, Oliver $, Sharam Jey, Tim Brownlow, Danny Howells & Mat Playford, and Polydor. Download it HERE and check out the video below.